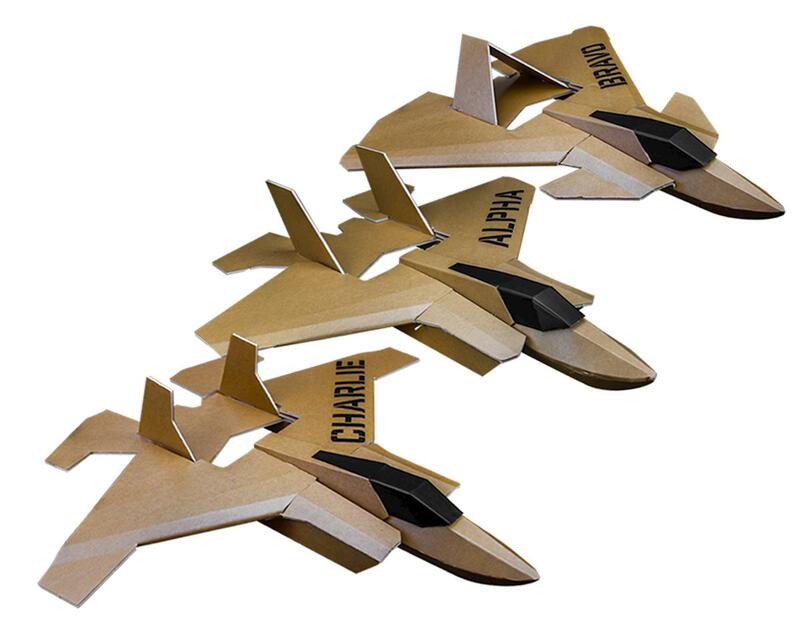 The combo pack comes will all three Alpha, Bravo, Charlie kits, each having their own unique look and flight characteristics. Each airplanes’ wings are built to be removable from the fuselage, and can be swapped with any of the other Triad planes, giving the builder essentially 9 planes in one package. The swapping of wings takes less than a minute and is supported by rubber bands. There is no need to re-calibrate the center of gravity on the aircraft after swapping, the CG remains the same no matter what combination you configure. This is great for the flight line and swapping with others, making it an enjoyable experience for all. The Triad project is also great for the classroom setting, it allows for students to test the effects of aircraft design and its impact on flight performance. With the ability to change wings, it allows the students to design their own unique wing that can be tested on either of three Triad fuselages, meeting the Inquiry and Design Learning strand of FT STEM curriculum. We want you to have an amazing experience both in building and flying. This kit comes with everything you need to complete the Triad Aircraft. Push-rods, control horns, firewalls and all other items needed to make this airframe electronics ready are included in the kit. If you choose to purchase our power pack F and battery, balance, flight performance and assembly will be quick and easy.